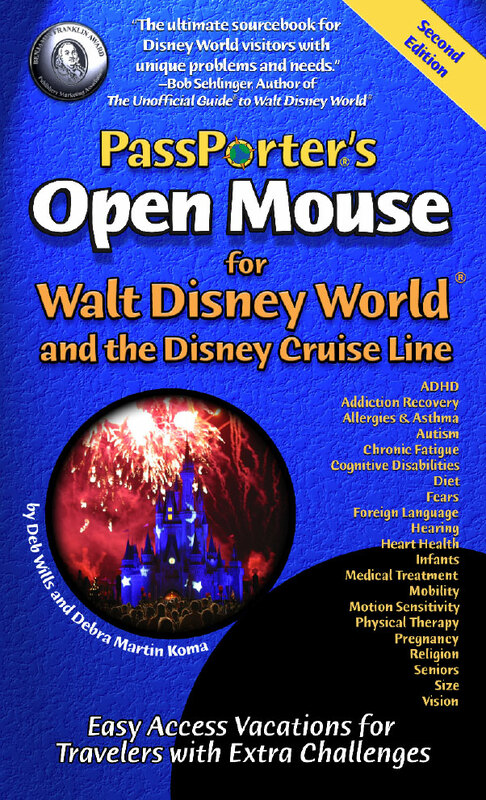 Q: What is the expected release date of PassPorter's Open Mouse for Walt Disney World and the Disney Cruise Line? A: September 15, 2007. Books will appear in local bookstores 2-4 weeks after the release. Q: Can I get a discount on PassPorter? A: All books ordered from PassPorter carry a 15% discount off the list price. A discounted price is also be available from Amazon.com and BarnesAndNoble.com. Local bookstores do not generally discount travel guides. If you purchased the first edition of this guidebook or any other PassPorter book, you can get a 30% discount for orders directly through us. To receive your 30% coupon, simply register your copy of PassPorter with us. If you already registered, locate your coupon at the bottom of the e-mail you received after registering then proceed to the Coupon Center for directions. If you can't locate your e-mail, send us e-mail and we'll send you another copy. Q: Does your book cover my special challenge? A: Most likely, yes! You may or may not see it listed specifically on the front cover, but those are just the 24 broad categories -- these categories encompass hundreds of medical and mental health issues, as well as dietary choices and concerns. We may not address your need by name, but many cases there's overlap -- various special needs share similar characteristics or, more precisely, can be accommodated by the same methods. Vacationers with rheumatoid arthritis, multiple sclerosis, cerebral palsy, muscular dystrophy, and even broken legs all most likely experience some limitations on their mobility -- so we hope they will all read the section on Mobility. We understand that those with these conditions may also have other special challenges, and we expect that you know which other sections of the book will apply to you, such as the section on special diets and/or physical therapy. Q: Do you have photos in your field guide? A: Yes, many photos, over 100 -- more than we can put in our general Walt Disney World or our Disney Cruise Line guides, in fact. Most of our photos are original, and some include fellow Disney vacationers, peer reviewers, authors, and publishers. Q: Can I add and remove pages in the guide? A: Unfortunately, we are unable to offer a looseleaf edition of this guide due to its size -- it will not fit in a deluxe binder along with organizer pockets. Q: Why should plan my vacation in advance? A: We enjoy the thrill of venturing into the unknown just as much as the next person. Even so, when vacation time is so precious and vacation costs are so high, why risk wasting hours or even entire days of your vacation because you were unprepared? The stress of constant on-the-fly decision making, the disappointment of lost opportunities and the waste of limited vacation dollars hardly adds up to a pleasant, rejuvenating vacation. And when you have special needs, it is of particular importance to carefully plan your trip. A little up-front investment in planning and organization helps ensure a wonderful journey and a lifetime of happy memories. Q: Is PassPorter updated regularly? A: Yes! PassPorter is updated in two ways: First, we offer a special page of Book Updates which lists page-by-page changes you should know about. 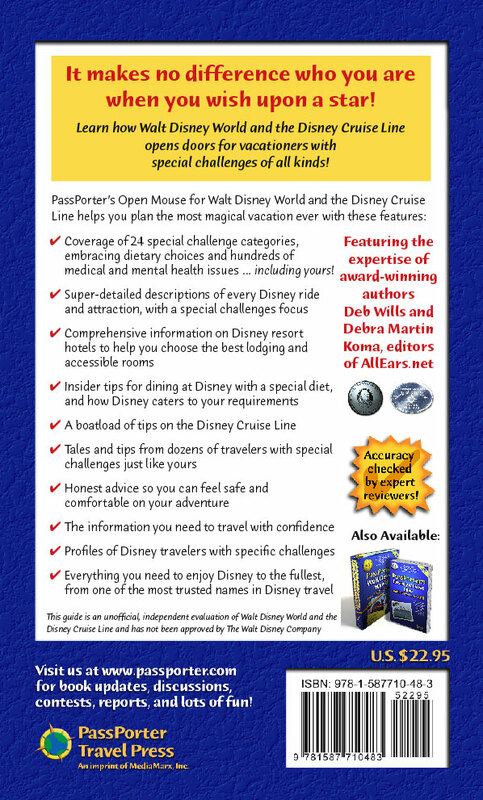 Second, besides the updates we place on our Web site, we also will offer updated editions of PassPorter's Open Mouse on an as-needed basis.If you would like to be kept informed of updates, revisions, and new editions, please subscribe to our informative newsletter. Q: How can I protect my PassPorter and keep it safe? A: We carry our PassPorters around in waist packs (a.k.a. "fanny packs"). This keeps our PassPorters handy and protects them from loss and bad weather. The waist pack needs a main compartment of at least 5.5" x 9" to hold your PassPorter comfortably. (We used to sell these through our store, but our supplier stopped making the pack we liked!) We also use day packs with good results, and some travel-oriented shoulder bags will work well. And if you need down-and-dirty protection, a resealable plastic bag (gallon size) does the trick. Q: How big/small is PassPorter? A: The dimensions of the Open Mouse paperback edition are 9" x 5 1/2" and about 1" thick. Q: Do you offer any discounts or coupons? A: Actually, yes! We usually have at least one discount going on at any one time -- at this time, all PassPorters have an automatic 15% discount through our online store. We also offer electronic coupons to everyone who registers a previous copy of PassPorter. Q: Why do you call it a PassPorter? 1. Passports intrigue us -- they are synonymous with travel and adventure! By definition, a passport is "something that secures admission, acceptance, or attainment," such as "this book is your passport to Disney fun." Sounds good to us! A: Deb Wills and Debra Martin Koma, editors of the phenomenally popular AllEars.net web site. You can read more about them on the Authors page. Q: How do I order a copy of PassPorter? A: We've tried to make it as easy as possible for you to get your own copy. Visit our store for all the details, or simply call 1-877-WAYFARER (929-3273) if you'd like to speak to a person. Q: Do you offer review copies to the press? A: Definitely! If you are a member of the press or an Internet leader (Webmaster, mailing list manager, discussion moderator, etc. 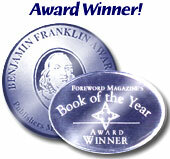 ), we'd be delighted to send you a review copy and a copy of our media kit. Please visit the PassPorter Press Room for more information on requesting your copy. Q: [Fill in the blank]? A: You'll have to ask us before we can answer! Just contact usand we'd be happy to answer your question.